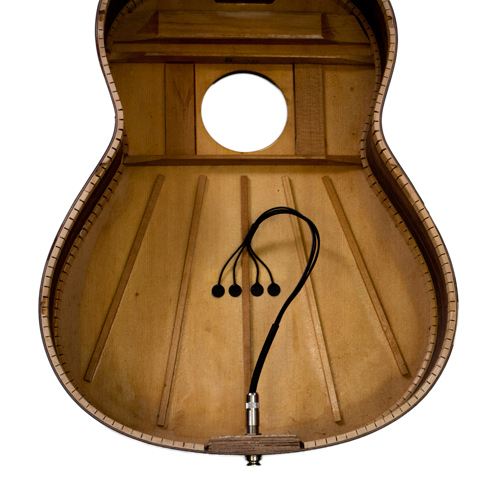 The Pure Pickup is our award-winning, signature pickup for acoustic guitars. Installed on the guitar's bridge plate, the Pure Pickup is the the best choice for achieving a rich, natural guitar sound -- even without a preamp! Our customers tell us that it's the best passive pickup on the market, which means it's the perfect plug-and-play solution for the musician who wants a warm, full-range signal without worrying about cluttering up their instrument, adjusting onboard electronics, or having to remember to change the battery. The Pure Pickup's position on the bridge plate provides the perfect balance of sound, picking up all the strings without sounding harsh or percussive and "listening" to the sound board to amplify the unique characteristics of your guitar. The result is a warm, full-range signal that represents the true character of your guitar. For players who want more control over their signal, or need to achieve high gain before feedback, we recommend the Pure Preamp or Pure XLR Preamp. 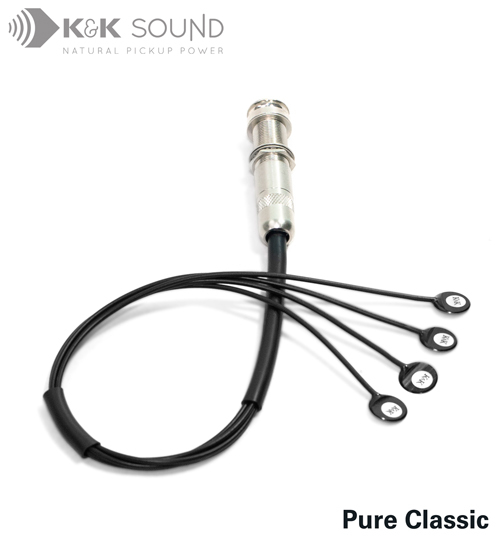 Pure Classic: The Pure Classic is designed to be installed with superglue for optimum sound transmission. For the players who do not wish to do this we also supply a special extra thin double stick tape for peel-and-stick removable installation. Pickups installed with this tape will require a preamp because output is reduced by about 30% compared to the superglue installation.